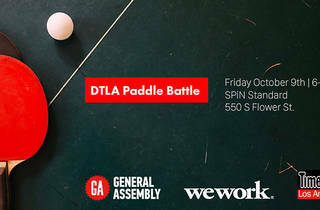 SPiN Standard, Downtown's only Ping-Pong club as far as we know, hosts this free meet-up and table tennis competition. Cap off the end of the work week with a drink in one hand and a paddle in the other. 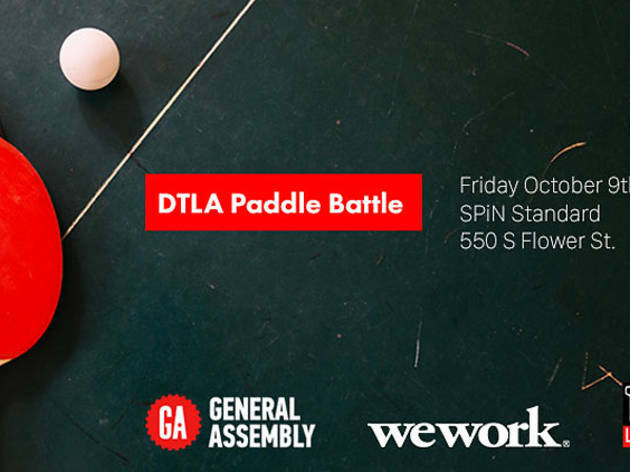 You can thank General Assembly and WeWork for hosting the happy hour, which doubles as a welcoming party for some new arrivals to the neighborhood: Time Out LA—hey, that's us—and the aforementioned coworking space WeWork, which recently took over half of the handsome Fine Arts Building.